Ideal for changerooms, fitness clubs, school yards, gymnasiums, public recreational facilities, pools and outdoor swimming areas. Our benches come in 4’, 5’ and 6’ lengths. 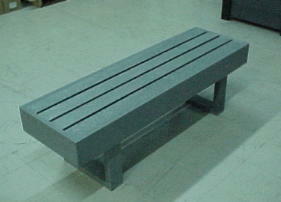 Our benches are available in kit form for easy shipping and handling. Assembles in 5 minutes! Purchasing benches in kit form will also cut the shipping cost dramatically.